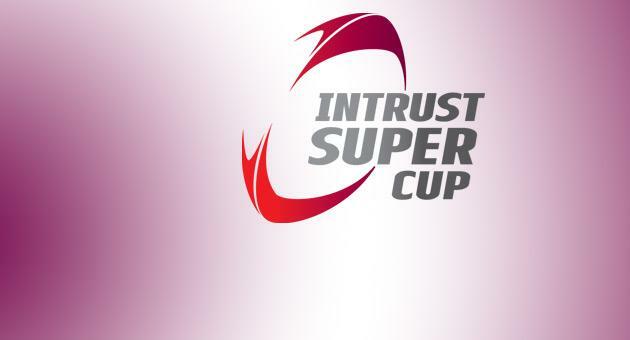 THE parochialism of Queenslanders is to be admired in many circumstances, but card carrying members of the local league fraternity have gone too far in describing the Intrust Super Cup as the second best competition in the world. While England’s Super League has a number of shortcomings, it is still a step ahead of the ISC in most areas, not least of all attendance figures. In terms of playing standards, Super League again has the edge, given four of its clubs – Leeds, St Helens, Warrington and Wigan – would be competitive in the NRL. Even with Petero Civoniceva in the side, Redcliffe, the 2013 ISC favourites, would not be able to handle the week-in week-out demands of the NRL with its current playing roster. But certainly I would back Redcliffe to beat Salford, London, Castleford, Widnes and Wakefield from Super League. There are five other Super League clubs – Huddersfield, Catalans Dragons, Bradford, Hull and Hull Kingston Rovers – and they would finish in the upper echelon of the ISC. Several speakers at the ISC launch proclaimed the Queensland competition as the best outside the NRL, and that is certainly the case in Australia. The Wynnum-Manly v Redcliffe match at Kougari Oval in round 1 provided plenty of skill and athleticism, despite the oppressive conditions. And there was a good atmosphere at the ground, with many locals turning up to support the 2012 premiers. Empty stands greeted teams in the New South Wales Cup shown live on Foxsports, with Wentworthville playing the Mounties at Parramatta Stadium in round 1 and Canterbury hosting Illawarra at Leichhardt Oval in round 2. Queenslander, Pat O’Hanlon was man of the match in Wenty’s 32-18 win over the Mounties, and the Mackay Brothers junior is destined to play more NRL with Parramatta this year. O’Hanlon’s father, Matt is principal at Beenleigh High where his deputy is former North Sydney star and inaugural Cowboy, George Bartlett. Redcliffe junior, Joel Romelo was one of Canterbury’s best in their win over Illawarra, although man of the match honours went to Bulldogs under-20s graduate, Lachlan Burr. I attended the Souths Logan v Easts ISC match at Davies Park on Sunday, and the quality of football left a lot to be desired, but that was largely because of the heat. Souths Logan put up a brave showing before Easts’ class prevailed for a 28-6 win. It was great to see a number of Souths stalwarts at the match, among them former Queensland halfback, John Salter and former Brisbane representative halfback, Brad Sully. (Brad’s sister is media personality, Sandra Sully). Sully also played for Easts, and had a stint in France with Racing Albi, a once famous club now doing it tough as rugby union dominates in what was once a league stronghold. Also at Davies Park was former Easts forward, John Payne, who coached Souths Magpies for three seasons, and Lydon Cullen who played alongside Payne at Brisbane Norths in 1979 before playing for the Magpies. Cullen’s dulcet tones can be heard over the public address system at Central Railway Station in Brisbane, with the former travel industry executive now working for Queensland Rail. The dulcet tones of former Channel 9 commentator, Andrew Voss can now be heard on SKYSport in New Zealand. Voss called last year’s ISC Cup grand final between Wynnum and Redcliffe and he gave the competition a mention when the cameras captured Roosters assistant coach, Paul Green on the sidelines at Auckland’s Eden Park for the Warriors – Roosters match. Green coached Wynnum to two straight titles and now has charge of the Roosters under-20s, with the youngsters starting the season with consecutive wins. Queenslanders, Brendan Elliott (Runaway Bay Seagulls) and Rhyse Martin (Proserpine Brahmans) scored two tries each in the Roosters’ 24-20 win over the Warriors.